While working recently on First Boot Package Install.pkg, I decided to implement a way to automatically install all available Apple software updates along with enabling other packages to be installed at first boot. After some work and testing, I’m happy to announce the release of First Boot Package Install With Automated Apple Software Update.pkg. 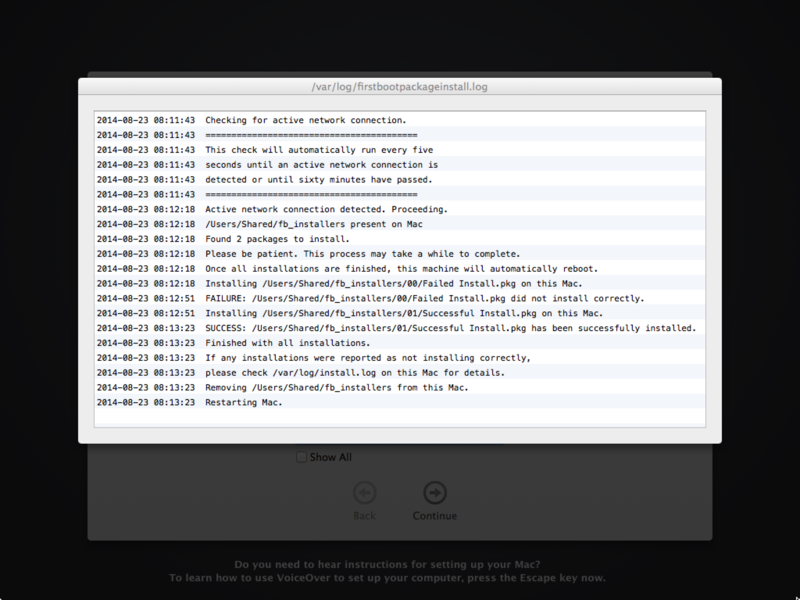 The main difference between First Boot Package Install.pkg and First Boot Package Install With Automated Apple Software Update.pkg is that before installing the user-selected packages, all available Apple software updates are downloaded and installed. By design, the First Boot Package Install With Automated Apple Software Update.pkg script will use Apple’s softwareupdate tool to check for and install available updates, then reboot the Mac automatically until all available updates have been installed. As not all shops that may want to use First Boot Package Install.pkg will find this functionality to be needed or desirable, I’ve set up a new repo on Github for First Boot Package Install With Automated Apple Software Update.pkg. That way, Mac admins will be able to choose which one they want to use. Please see the README available at the repo for how to use First Boot Package Install With Automated Apple Software Update.pkg. The Iceberg project files are also available via the link above if you want to build a customized First Boot Package Install With Automated Apple Software Update.pkg for your own environment. Following up on a pull request by Matthew Kweskin, I’ve updated First Boot Package Install so that it now reports whether an installation has succeeded or failed. 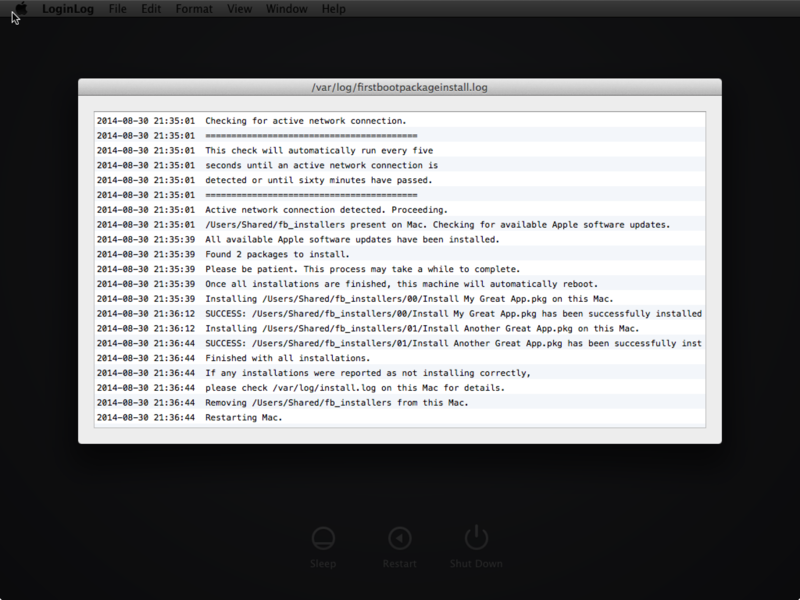 This error reporting is in addition to the error logging recorded by OS X’s installer tool to /var/log/install.log. For those interested, here are the changes to First Boot Package Install‘s firstbootpackageinstall.sh script. I’ve updated the First Boot Package Install GitHub repo with the new First Boot Package Install installer package, along with updating the posted firstbootpackageinstall.sh script and the Iceberg project files with the changes. To go along with my use of AutoPkg, I’ve started relying on AutoPkgr to automate running AutoPkg and notifying me when I had new updates. While I was checking over my current list of AutoPkg receipes today, I went to look for a recipe for AutoPkgr. To my surprise, no such recipe appeared to exist. 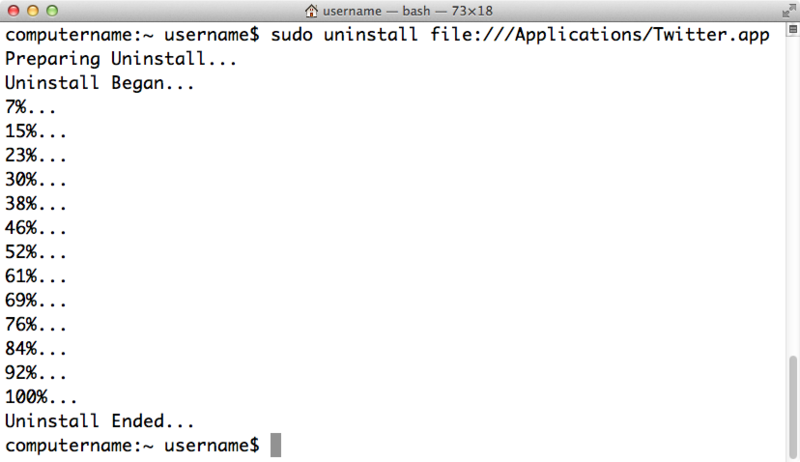 Over the weekend, Rasmus Sten posted to Twitter about an interesting uninstall command line utility that he had found while testing 10.10. On investigation, it became apparent that this uninstall utility was not new and was available starting in 10.7.x and later. It also appears to be undocumented and has neither a man page or help pages available. 6. 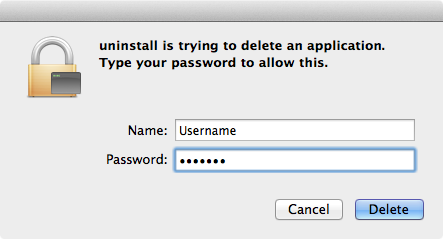 The application should then be uninstalled. After working with this tool, it does have some limitations. For more details, see below the jump. To go along with my earlier post about automating Oracle Java 7 updates, I’ve also posted a script to download and install the latest Java 8 update from Oracle. The method is identical, with the exception of referring to Java 8’s SUFeedURL value in Java 8’s /Library/Internet Plug-Ins/JavaAppletPlugin.plugin/Contents/Info.plist file. Oracle didn’t make this an easy task, as the download URL seems to change on a per-update version. AutoPkg handles its update task by scraping Oracle’s manual download page for the current correct URL to use. The following XML was returned and I was gratified to see that it contained a download link to a Java 7 Update 67 disk image. One of the important things I was able to establish is that the XML address embedded with Java 7 Update 67 is not special in this regard. As part of my testing, I verified that using the SUFeedURL value for Java 7 Update 15 and 65 will also work to pull the address of the latest Oracle Java 7 installer disk image. Using this information, I was able to build a script that can download and install the latest Java 7 update. See below the jump for details. 1. Personal recovery keys – These are recovery keys that are automatically generated at the time of encryption. These keys are generated as an alphanumeric string and are unique to the machine being encrypted. 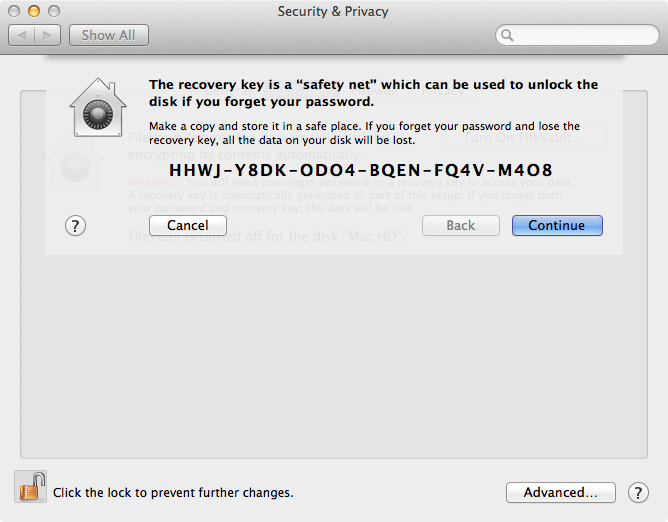 In the event that an encrypted Mac is decrypted and then re-encrypted, the existing personal recovery key would be invalidated and a new personal recovery key would be created as part of the encryption process. 2. Institutional recovery keys – These are pre-made recovery keys that can be installed on a system prior to encryption and most often used by a company, school or institution to have one common recovery key that can unlock their managed encrypted systems. Institutional keys are not automatically created and will need to be properly generated before they can be used. For more information on institutional recovery keys, see below the jump.